Front to Back Depth: 15 in. *Please Note: Due to the nature of the manufacturing process, actual product dimensions may vary up to one inch. 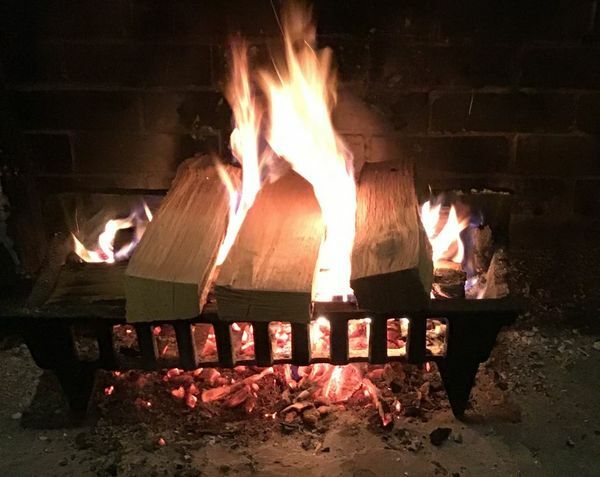 A log grate is an Uniflameant component of a wood burning fireplace. High-quality models, such as this Uniflame 24 Inch Cast Iron Log Grate, keep logs secure while burning, improve a fire's efficiency by providing proper air flow, and even make clean up easier by creating a centralized ash pile. The Uniflame 24 Inch Cast Iron Log Grate is one of the best fireplace grates available. The cast iron construction means that it conducts heat well and will last for many years. And the traditional design creates a sophisticated look that will enhance your hearth even when it's not in use. How much does this log grate weigh? This item weighs 15 pounds, although weight can vary slightly from casting to casting. Per the manufacturer, the approximate leg height is 3 inches. This will vary slightly from casting to casting. Can you provide the full dimensions (front and back) as well as the depth? The back width measures approximately 23.5“ and the front width is 19". It is about 15" deep. I ordered the 23.5" Uniflame Cast Iron Log Grate to replace a very old one we had been using. The price was right, so we decided to try it. It's definitely heavy cast iron and is exactly what we were looking for! Thanks for a great product. This is exactly the right size and build to replace our worn out grate. ProsThis is a nice sturdy grate and it came in a reasonable time frame! I had to switch grates as I couldn't keep the embers close enough to the burning wood. This guy is perfect. Creates a little bed for the embers to lie in while still providing enough air to get through. Much, much easier to keep my fire burning! This was perfect size for my fireplace, and a great value.. So glad I made this purchase, my first here actually !!!! Arrived as advertised. Great grate. I received the fireplace grate promptly. THIS IS JUST WHAT WE HAD BEEN LOOKING FOR . The Uniflame cast Iron log grate has improved our lifestyle. 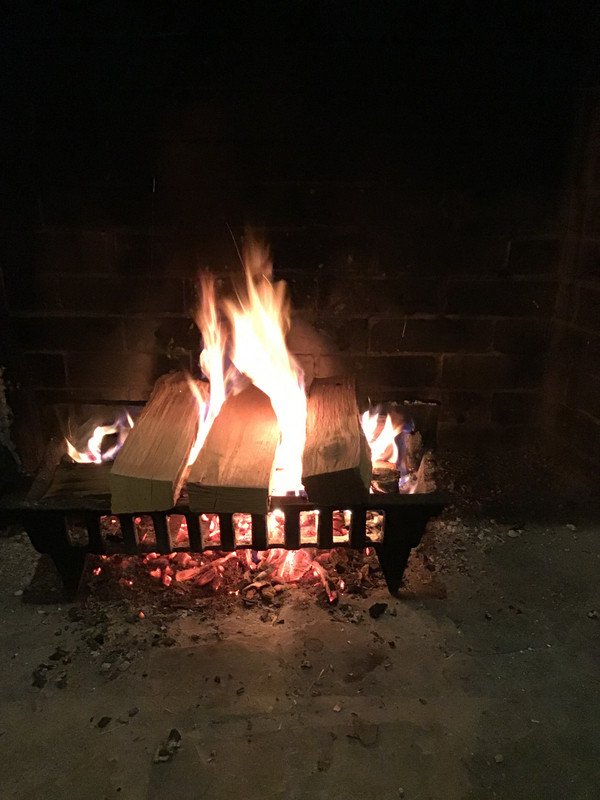 Using a fireplace as the main source of heat requires a grate with feet tall enough to clear ashes without completely stoping the fire. The grate allows for adequate air flow and cast iron does not twist with the extreme heat. Genuinely pleased with grate design and quality. Huge improvement over the basic welded bar grates that let everything fall through. The casting is a bit rough with lots of little flat burrs around all the edges. The kind that are normally buffed off on most other castings or forgings. you can't see these in the picture. ProsHolds smaller twigs and embers. Heavy duty but does not appear overbearing in fireplace. The height makes clean up easy. I should have purchased a new grate years ago, but didn't realize how bad the old grate had been until we started using this one. Arrived very quickly too!